What is an Idaho Month to Month Lease Agreement? 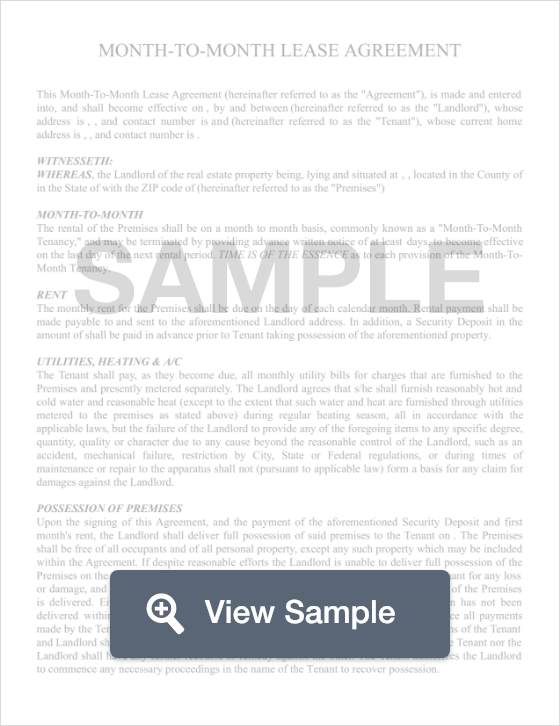 Idaho Month to Month Lease Agreement: What Is It? A month to month lease agreement in the state of Idaho is a document that is used to legally establish the agreement between a landlord and a tenant for a period of one month. Generally, when the month ends, the contract will automatically renew at the beginning of each month until either the landlord or the owner terminates the agreement. Lease agreements work well for tenants who may have a job that requires them to relocate often and for landlords who may not want to commit to a long term agreement. If the landlord wants to end the agreement, he or she would not have to break a long term lease in order to terminate the agreement potentially risking a lawsuit for violating a tenants rights. Instead, the landlord would only have to provide a short notice according to the laws in the state regarding month to month agreements. In the state of Idaho, any party that wishes to terminate a month to month lease agreement must do so, in writing, at least 30 days before the termination will be in effect.